The CubiScan 200-TS has been discontinued. No direct replacement is available. 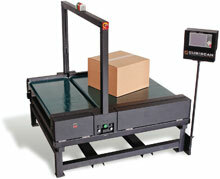 The CubiScan 200-TS is an integrated in-motion dimensioning and weighing system. This dual functionality, in one concise footprint, gives you the power to quickly measure and weigh your parcels on-the-fly. Using infrared light-technology, the 200-TS is an efficient and reliable solution for manifesting or re-weigh applications. The CubiScan 200-TS is offered in three and four ft. belt widths, each with a five ft. length capacity""facilitating a wide range of conveyable freight. 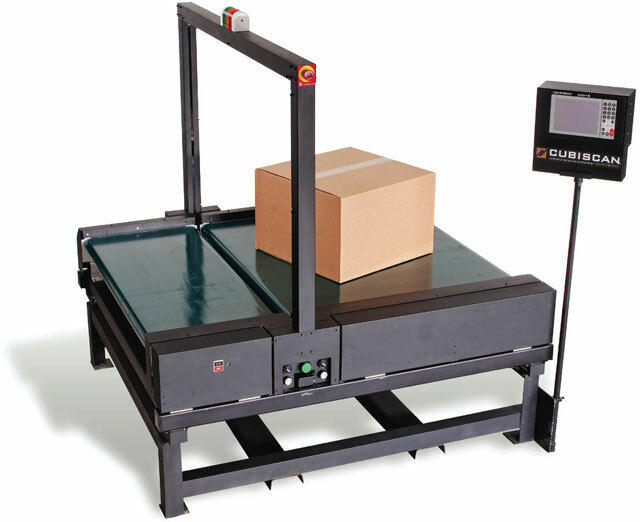 It also incorporates multiscale technology in one weighing platform, allowing more than one package on the scale at a time-thereby reducing parcel intervals to under 28 inches. These features, when combined with the rapid operating speed of 230 feet (70 meters) per minute, allow the system to keep up with your throughput requirements, preventing in-motion weighing from creating a bottleneck. In motion cubing and weighing system. Maximum capacity: 60'� x 48'� x 36'� and 242 lbs. Conveyor speed: 230 feet per minute. For Domestic Use Only.